So you've picked a campground that you would like to visit. Check here to find whether other site visitors have been there and what wisdom they have to share. Did they have all the amenities they claimed to have? These amenities might include picnic tables, running water or waste disposal facilities. They might also include access to swimming pools or equipment rental. We will do our best to let you know. 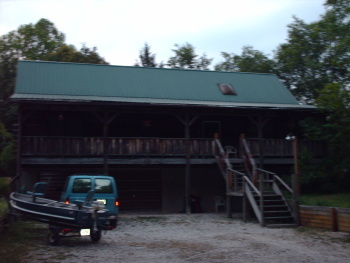 For instance, you can check out our Kentucky Lake Cabins review. If you've visited a place that you would like to review, please send us your opinion of the campground or resort. We want our visitors to Waters Edge Outdoors to have all the information they need to have an enjoyable experience, and without you, we can't do that. Though I would love to visit every lake and campground there is just no way I can do it all by myself.